The Das Keyboard 4 Professional is a mechanical high quality keyboard made by the experienced folks over at Das, and they were kind enough to send us one out for a couple of weeks so we could review it. I have to say i'm incredibly impressed by it. 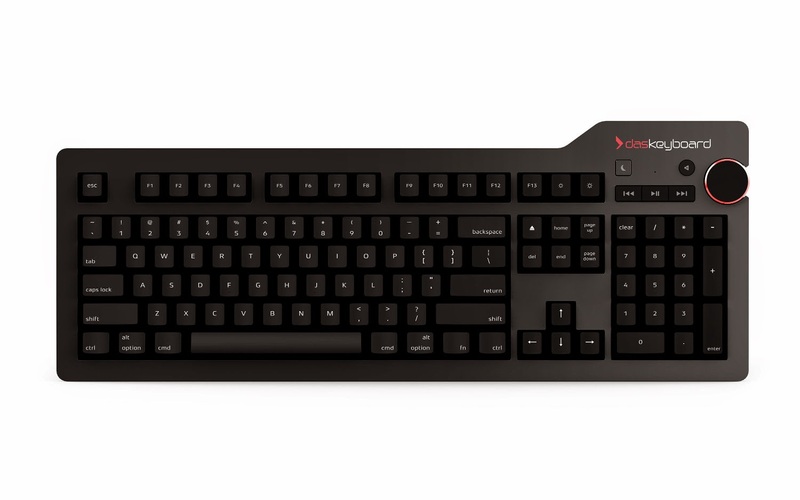 You're probably wondering why this keyboard is so special compared to a keyboard you could pick up at Walmart for $20. The Das Keyboard 4 Professional is a mechanical keyboard and mechanical keyboards were the original keyboards, the infamous IBM model M is essentially what this keyboard is designed to be like; but its not, its way better. For those of you who don't know or who aren't familiar with what exactly mechanical keyboards are, they have mechanical switches which are very tactile and also give crazily satisfying audio feedback when you press each key; basically, they click a lot, and its great. There are really 3 main areas of the Das keyboard that I want to discuss and that is Function, Style and ergonomics. Starting with Function, this keyboard is loud, and it's actually going to be too loud for some people. The mechanical key switches that give great audio feedback come at the cost of being so loud that its enough to wake people up if you type vigorously enough! However, this is only the case if you buy the model with the MX Blue switches which are the sort of super clicky and loud switches, the alternative is the Das keyboard 4 professional with MX Brown switches which are essentially the same except much much quieter. For me personally, I really love the exaggerated clickyness of the blue switches; it really makes you feel like you're getting work done and being productive. It's really well built being made up of plastic as well as aluminum which gives it this really high quality feel, it just destroys all the competition in comparable mechanical keyboards and its also made by a highly respected company, Das Keyboards. 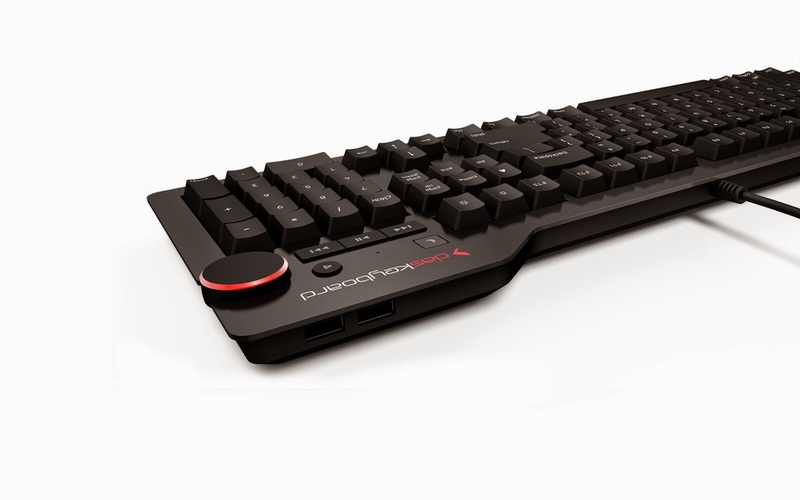 The keyboard is also equipped with full N key rollover, meaning for all you gamers out there you can press as many keys simultaneously and they will all be registered, perfect for gamers who need that kind of responsiveness and reliability. In terms of how it affects your typing speeds, I improved my words per minute by about 30 words per minute which is just insane. The mechanical cherry MX Blue switches are just a pleasure to type on and the sturdiness of the keyboard all contribute to a much nicer, pleasurable and efficient typing experience. Let's talk about style. As far as I can see, the keys are not laser edged meaning they're painted off and can therefore be scratched off if you handle it the wrong way. This is probably one of the biggest downfalls of the keyboard in my opinion. The switches in the keyboard can each be pressed over 5 million times individually before showing any signs of wear giving a great life to the keyboard, however this is kind of ruined by the fact that over time the paint marking the keys may wear off. One thing I really like that Das did was give the keyboard a matt black finish. This is great because it means that unlike some keyboards which have glossy finishes, dust and degree won't be nearly as noticeable and most of all those pesky fingerprints won't show up. This keeps the keyboard looking really nice and clean. On to ergonomics. I've been lucky enough not to have problems with my wrists as a result of typing at a funny angle. The Das Keyboard 4 Professional allows me to type at a very flat angle so that my hands are almost hanging just above the keys meaning they're not at that 45 degree angle they usually are when typing on keyboards with an inclination. This is great because it means that I can type more comfortably and in additional to that I get to keep my wrists healthy! 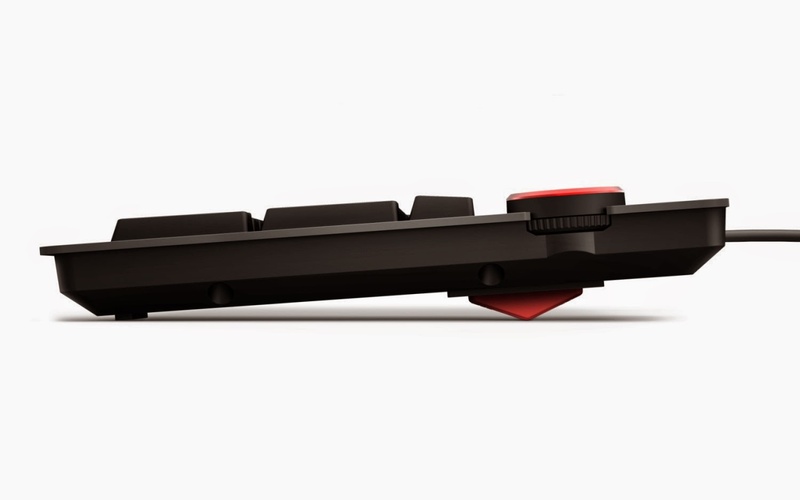 For those of you who really don't care about the wrist issue like I do, Das does include a very unique way of propping the keyboard up at an inclined angle. Usually with most keyboards there are little flaps along the bottom that you flip about that serve as feet, however with the Das Keyboard 4 Professional there's a 40cm ruler. Yes, you heard me right, a ruler. It's really quite awesome actually. The ruler attaches to the bottom of they keyboard magnetically so it gives a secure base for the keyboard to incline on, and of course it also serves as an actual ruler! Way to innovate Das! Plugging in the keyboard to your computer takes up 1 USB port however Das included a 2 port USB 3.0 hub at the front of the keyboard so you can plug any USB devices you want in there which is super awesome. One thing I wish they included was backlighting for they keys. I usually stay up late gaming and or finishing homework assignments and so having a backlight would be an awesome feature, so I hope Das includes that on their next generation of keyboard. The Das Keyboard 4 Professional is truly in my opinion one of the best on the market currently and has honestly changed the way I type. I've become so much more productive and its simply a joy to type on. The only problem is that I have to send it back! I'll probably end up buying one and i'd encourage you to do the same, it's simply an excellent high quality keyboard from Das. Sony Xperia Z4 - Will it be better? The New MacBook just got an early unboxing.